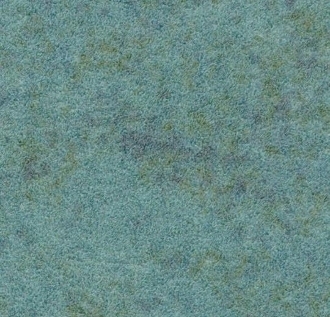 Forbo Flotex Calgary Sheet by the Yard - Menthol 290004 Flotex is a remarkable material which can be a substitute for carpet. Virtually indestructible and waterproof, it stands up to wheel traffic and can be sanitized with machine scrubbing equipment. Perfect for basements, high traffic areas, conference rooms, airports or classrooms. Rolls are 79" wide x 98 feet long containing 71.76 yards and weighing 238 pounds. Flotex sheet is typically installed with permanent FRS885 adhesive.